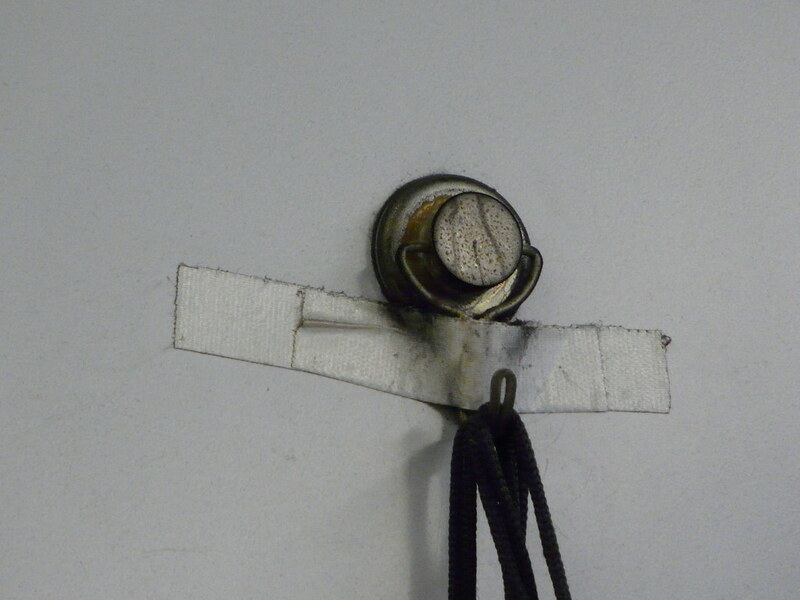 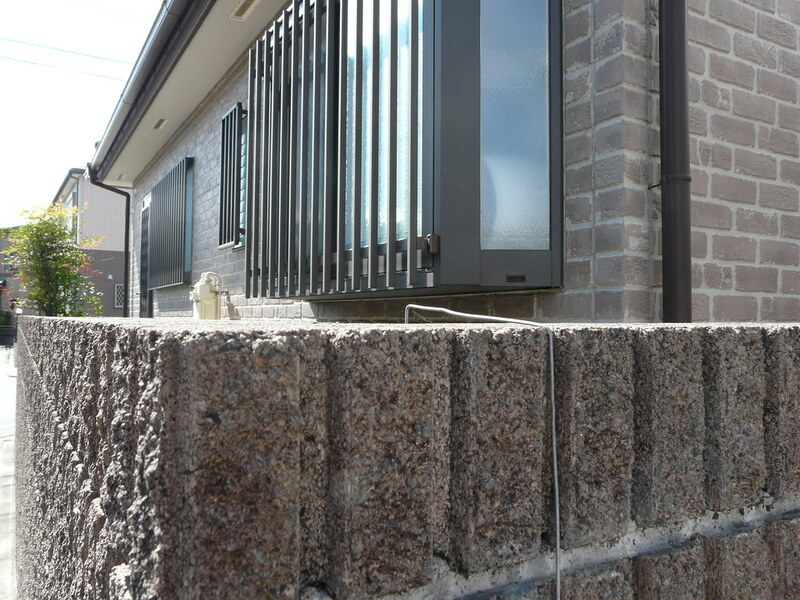 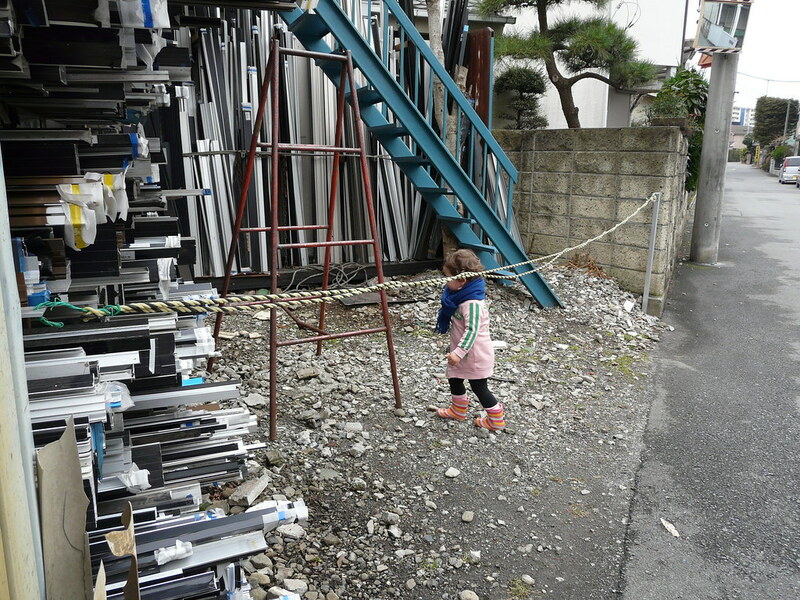 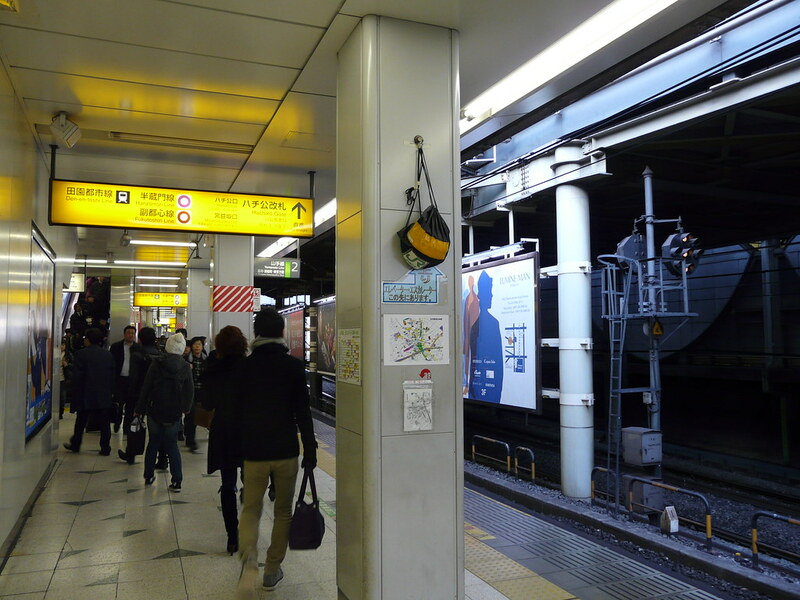 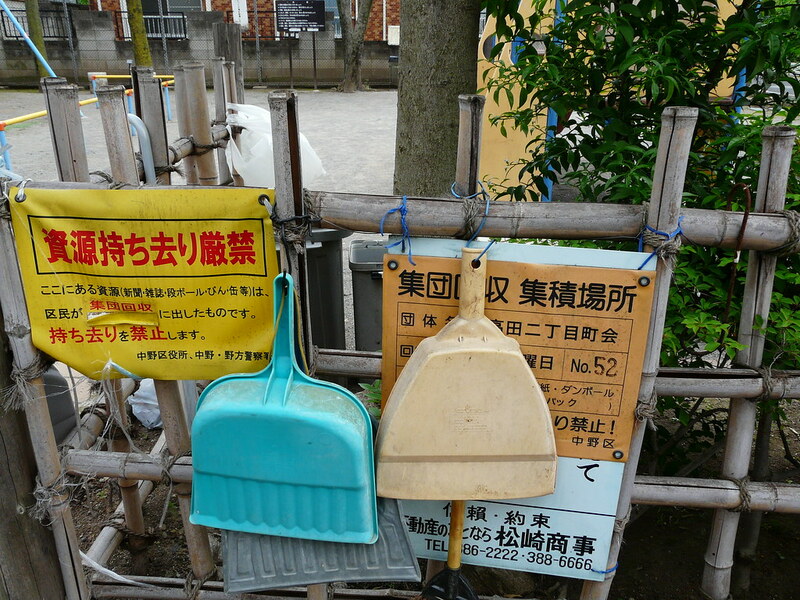 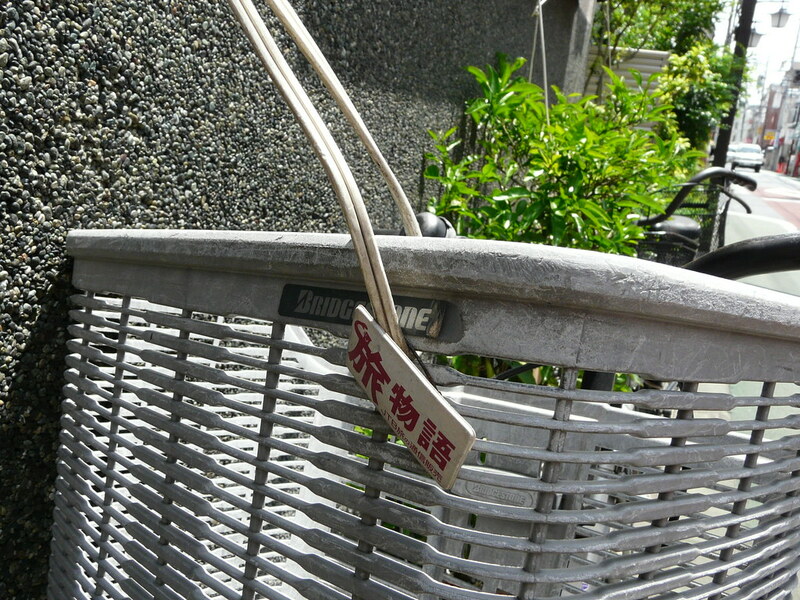 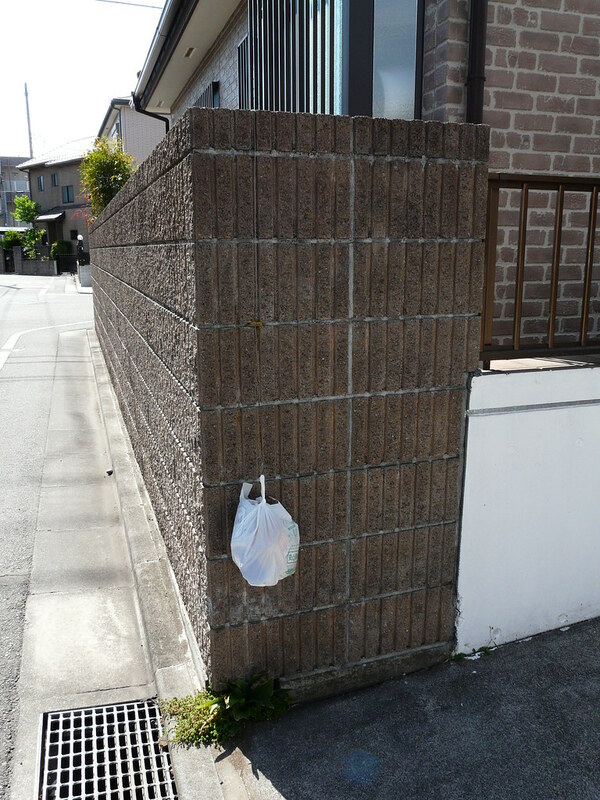 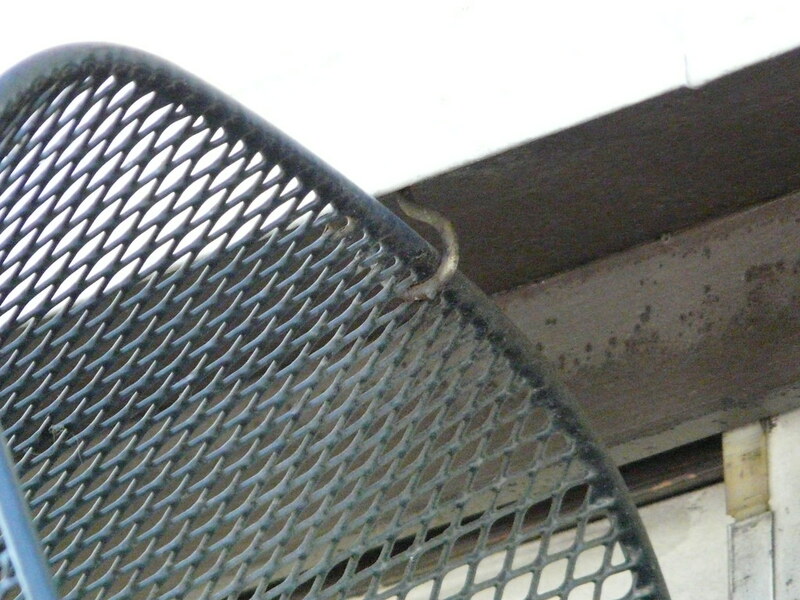 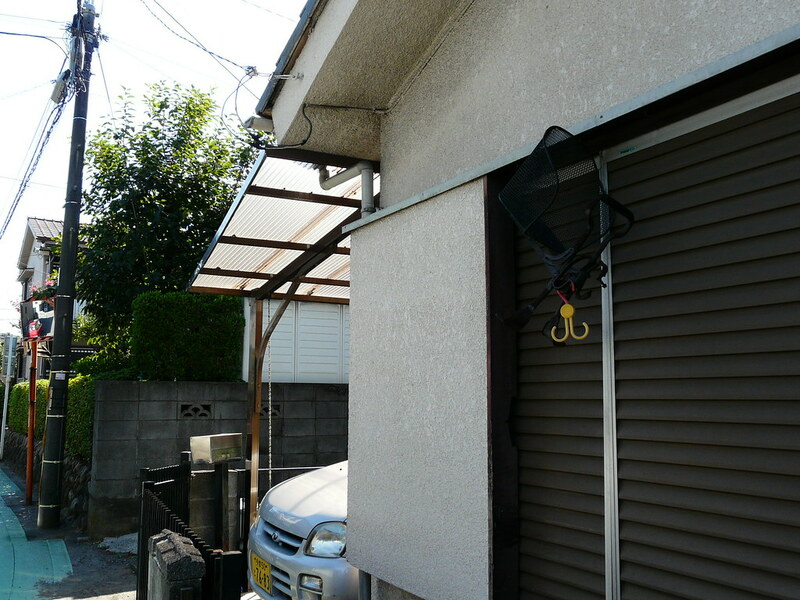 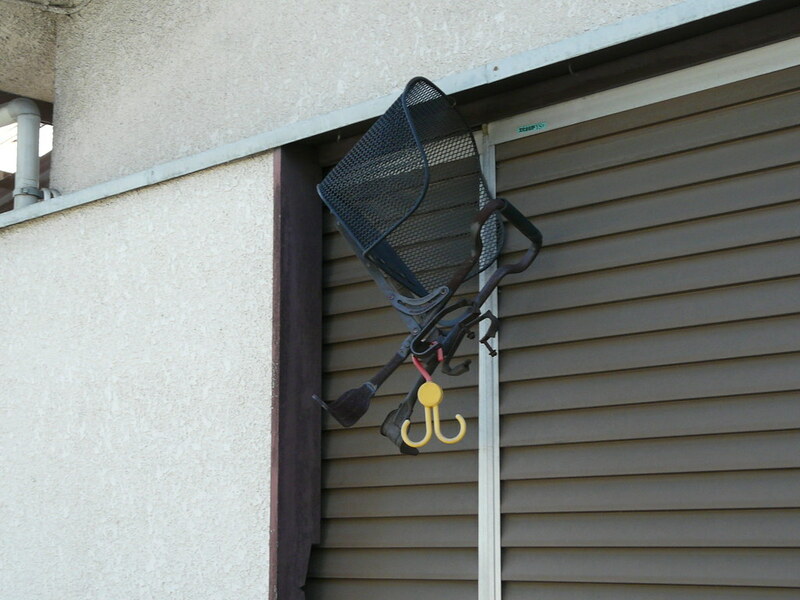 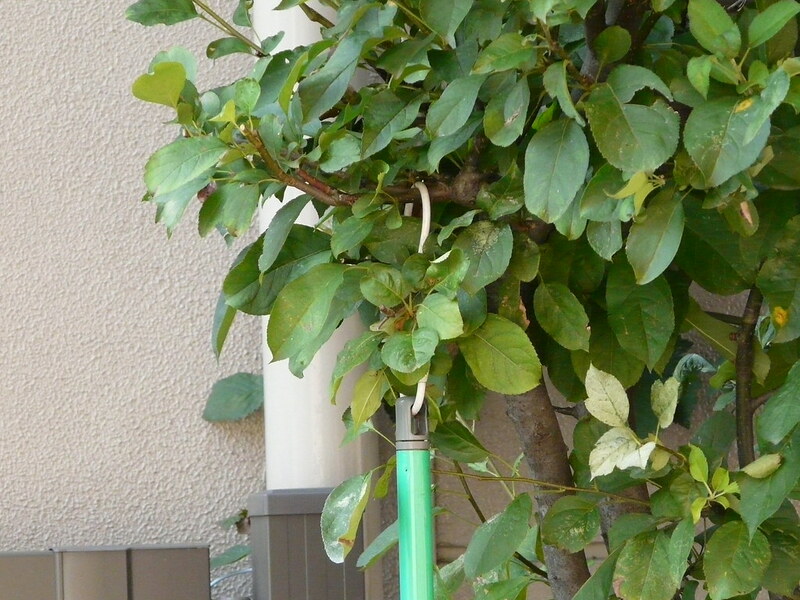 Hook under eaves serves as storage for bicycle child seat. 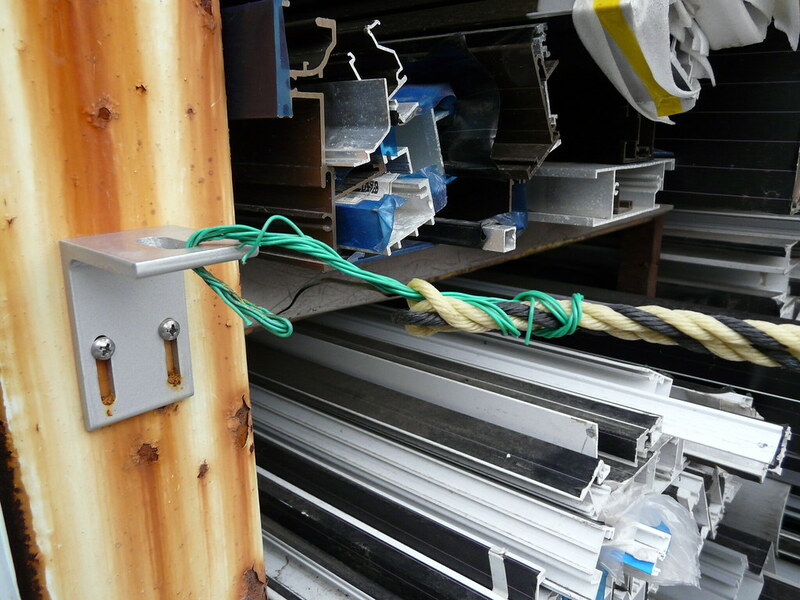 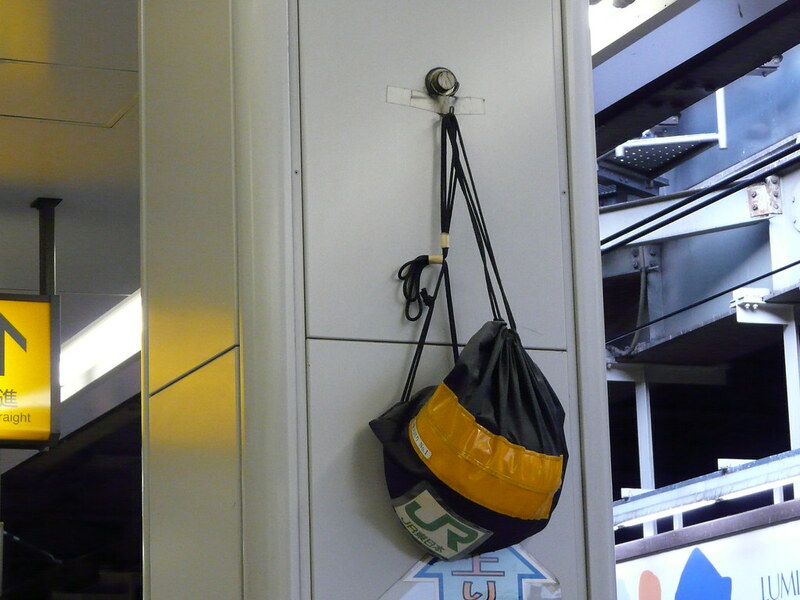 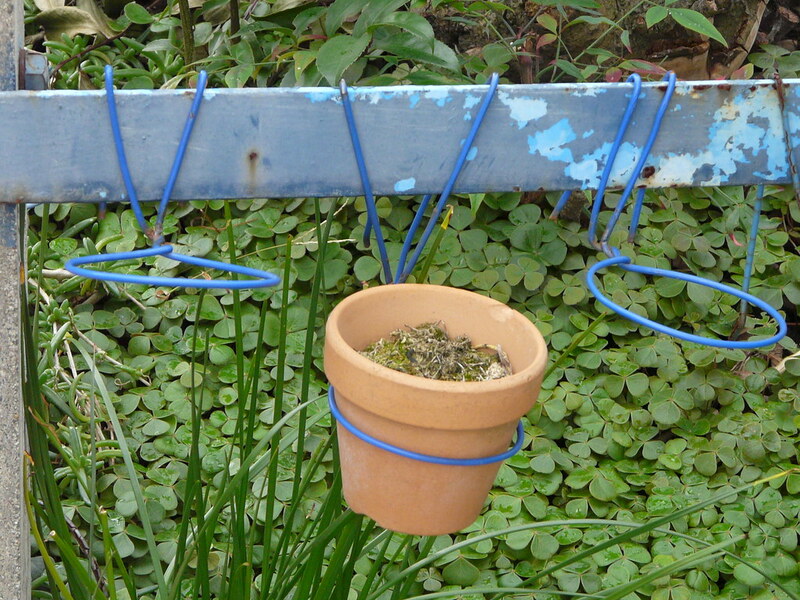 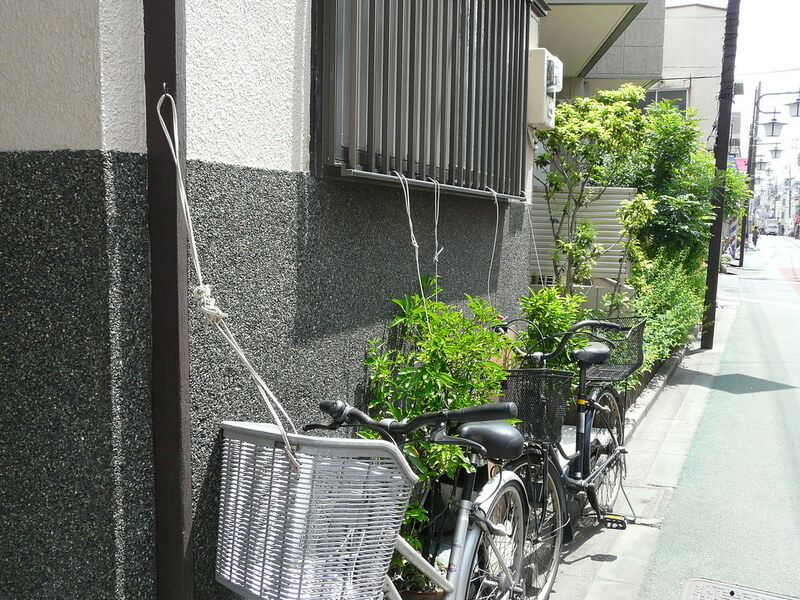 Entranceway chain storage performed by plastic hook and plastic twine. 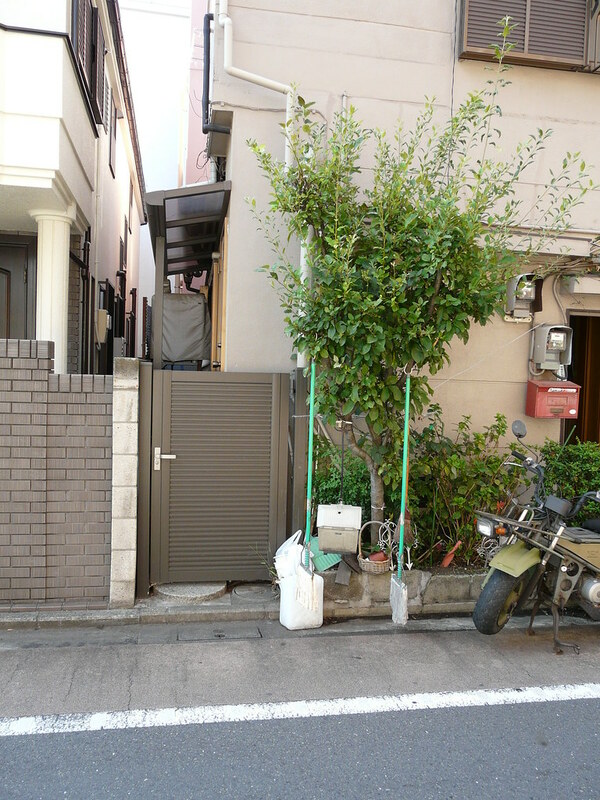 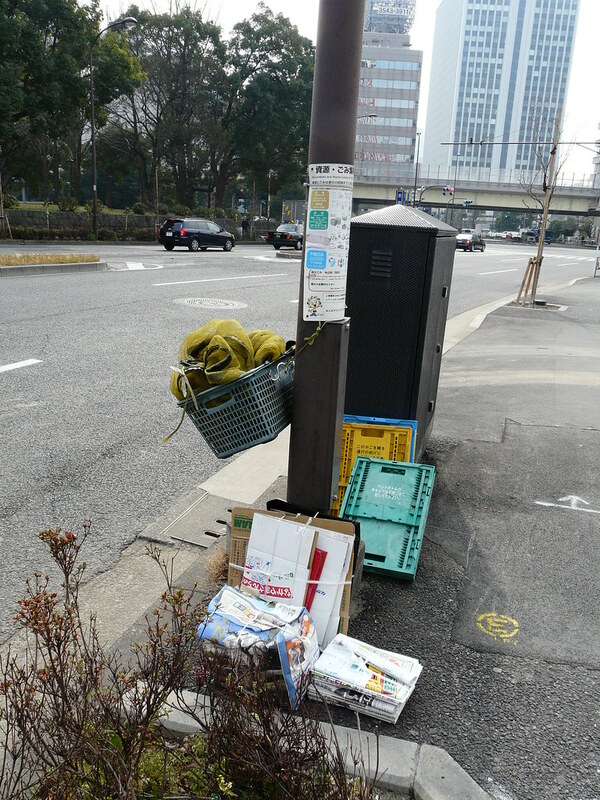 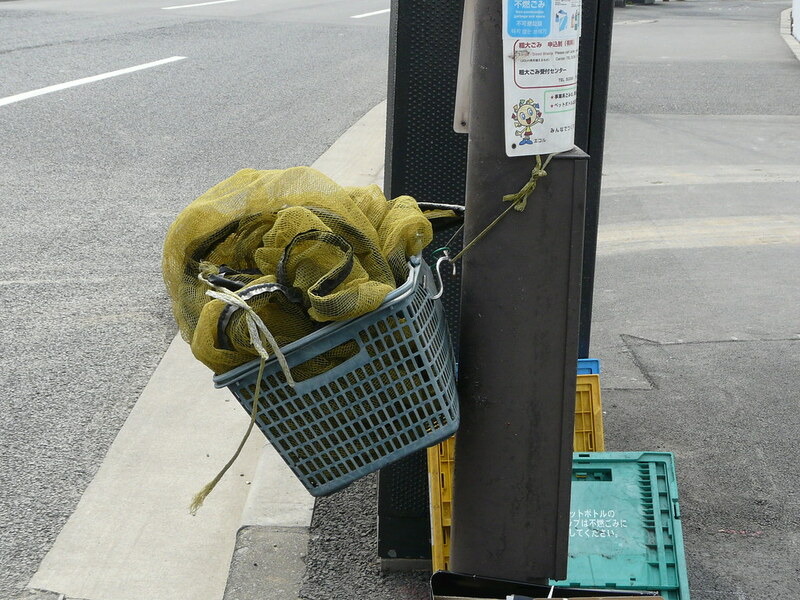 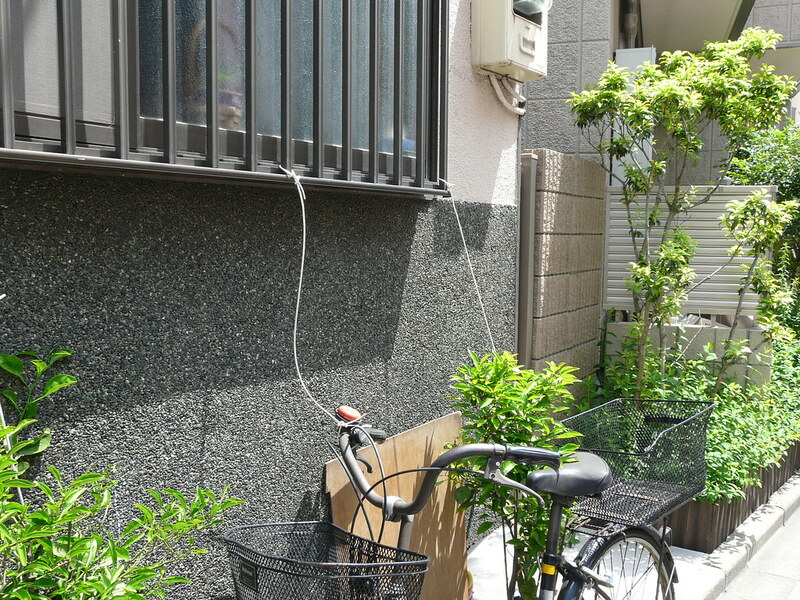 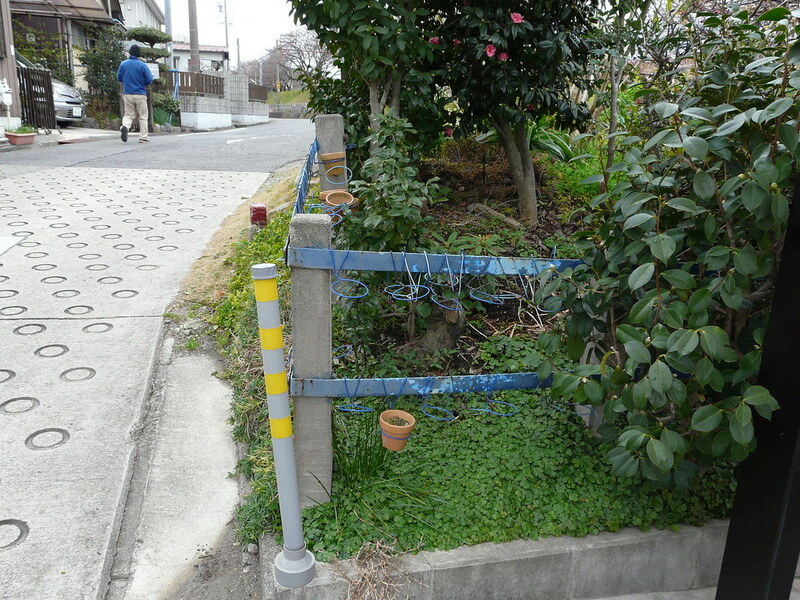 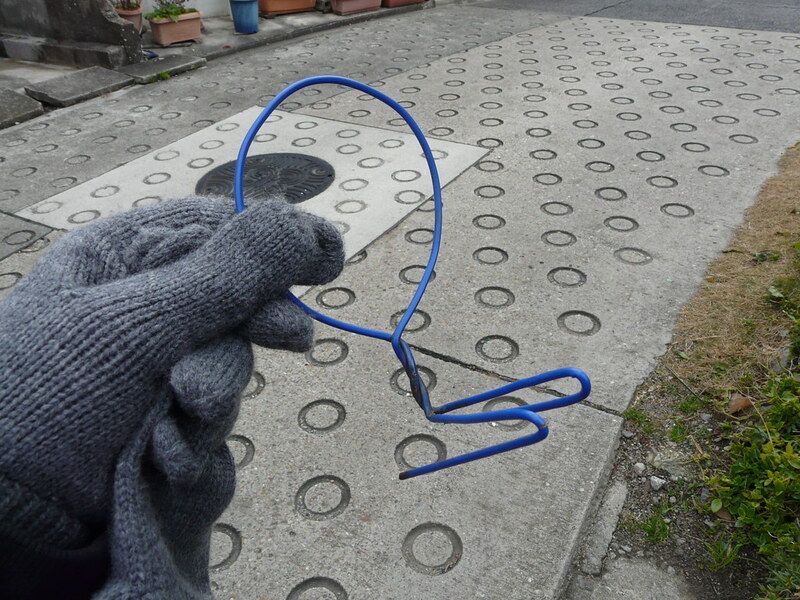 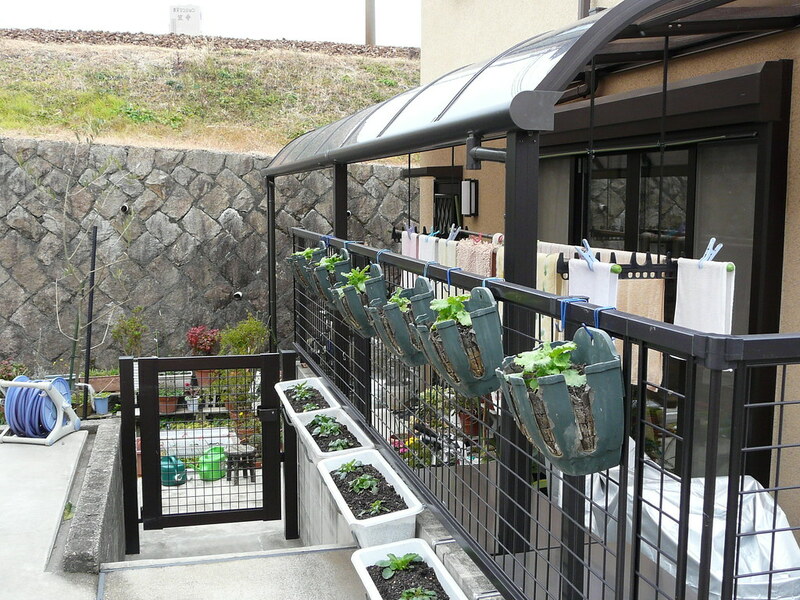 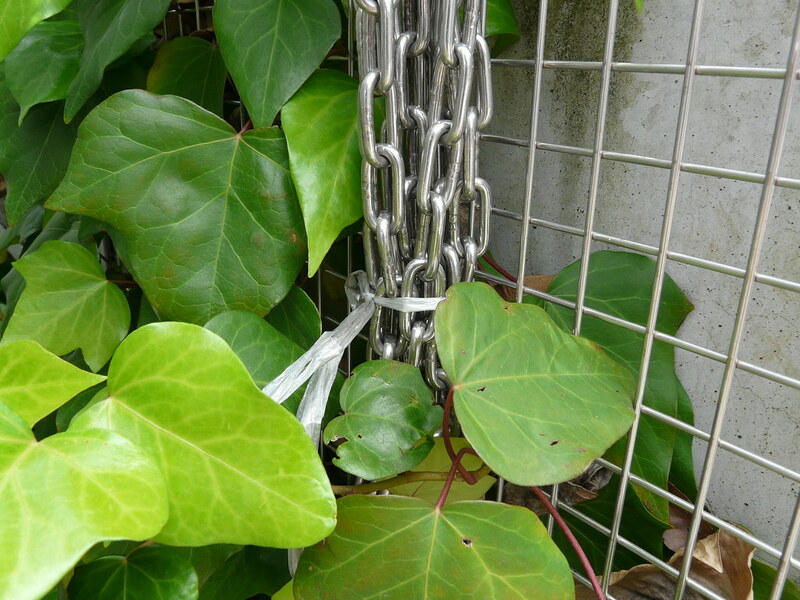 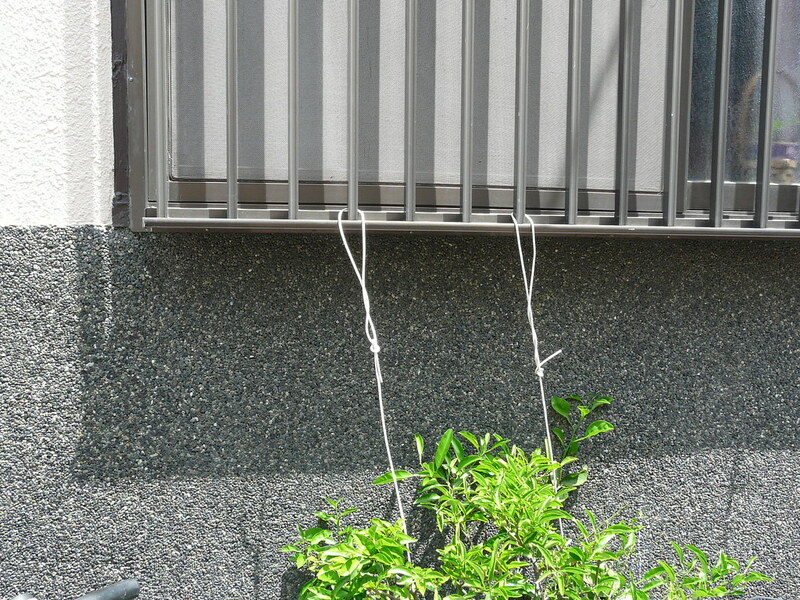 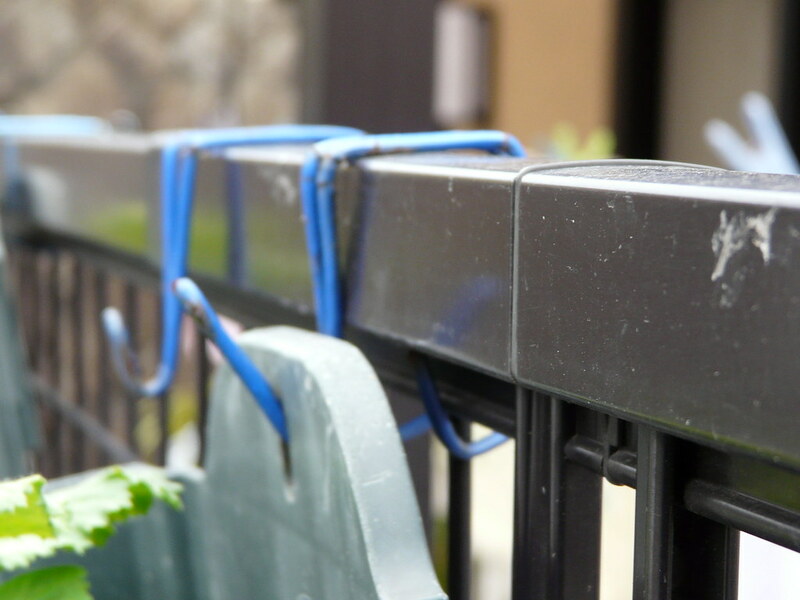 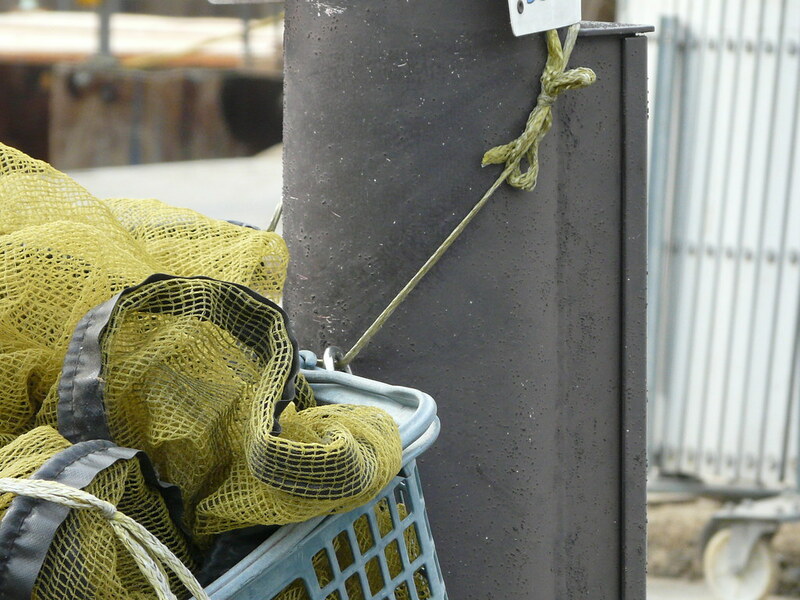 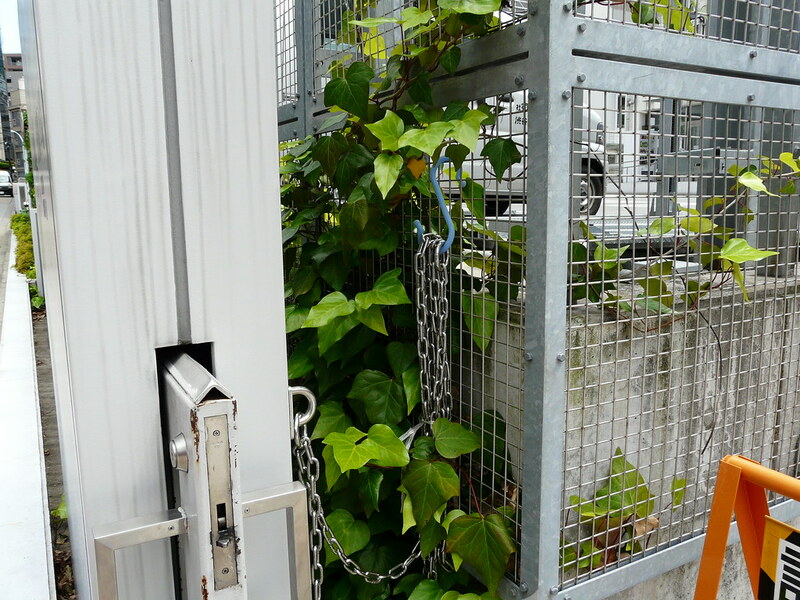 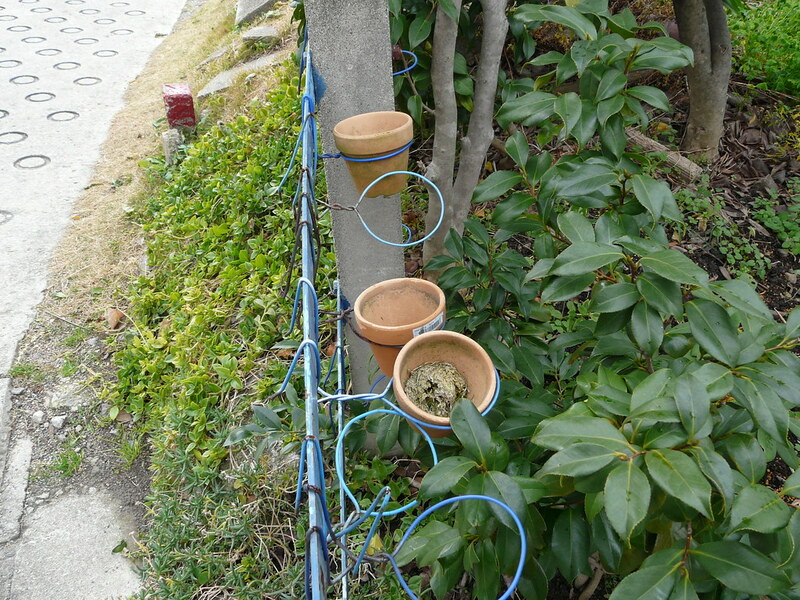 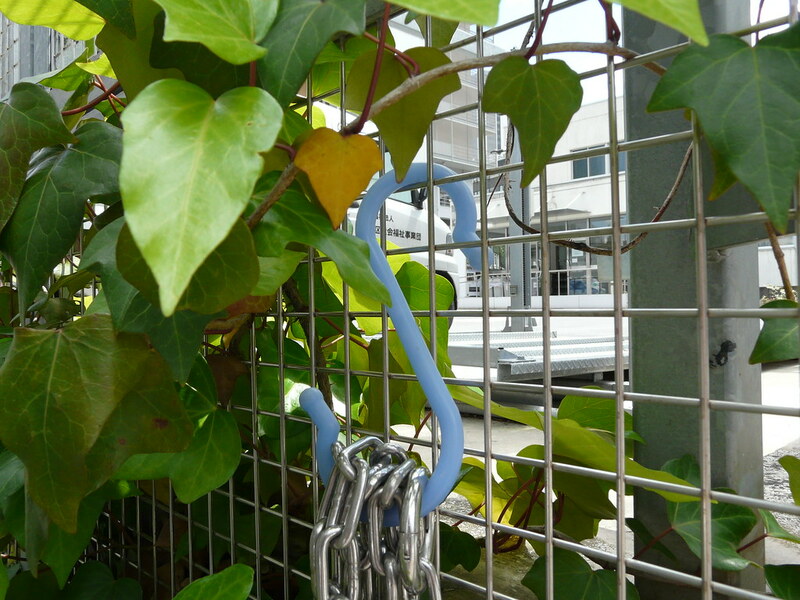 Wire and hooks along the entrance fence to a pocket park in Nakano, Tokyo act as storage for community-use gardening/cleaning implements. 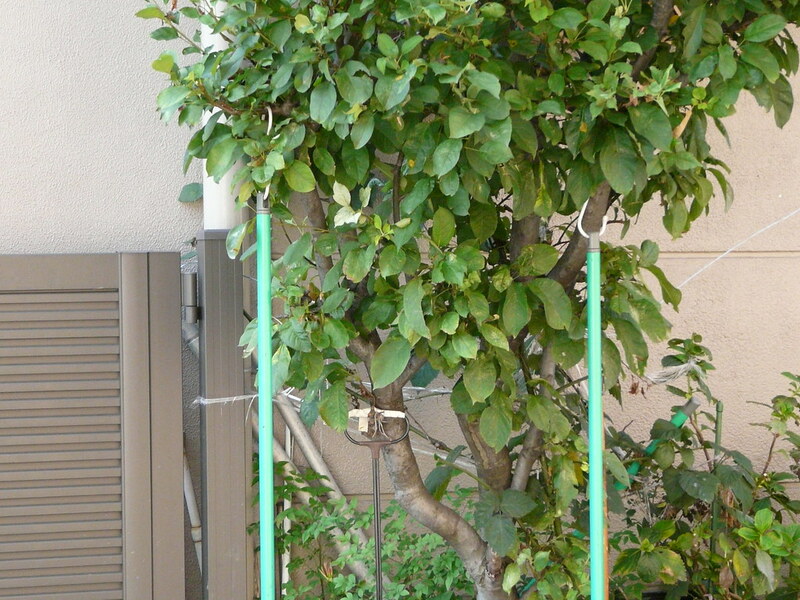 Tree as outdoor storage/drying space for mops and dustpan. 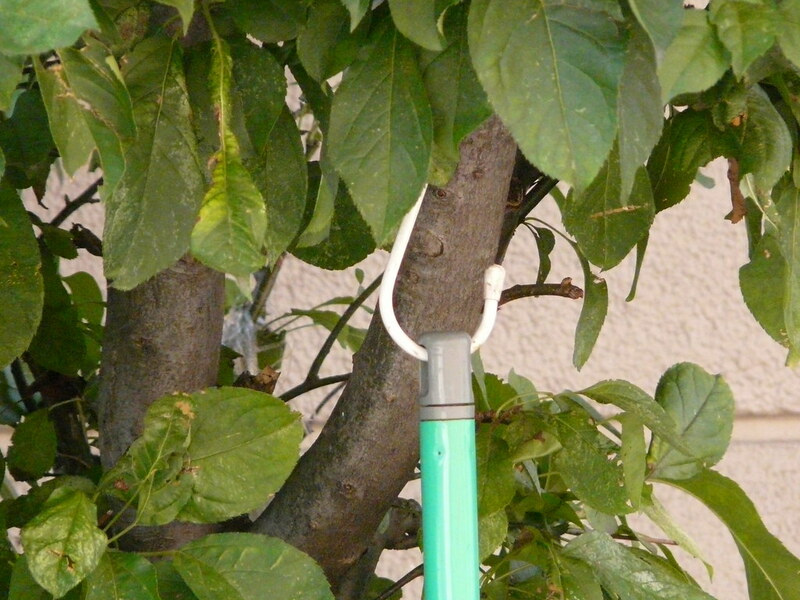 Mops hang off hooks on branches. 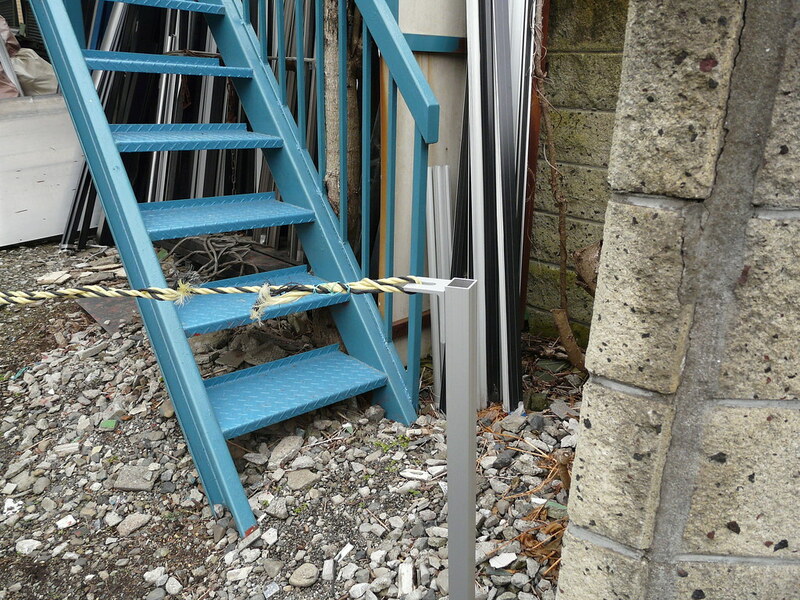 Rope barrier to workshop parking/storage area. 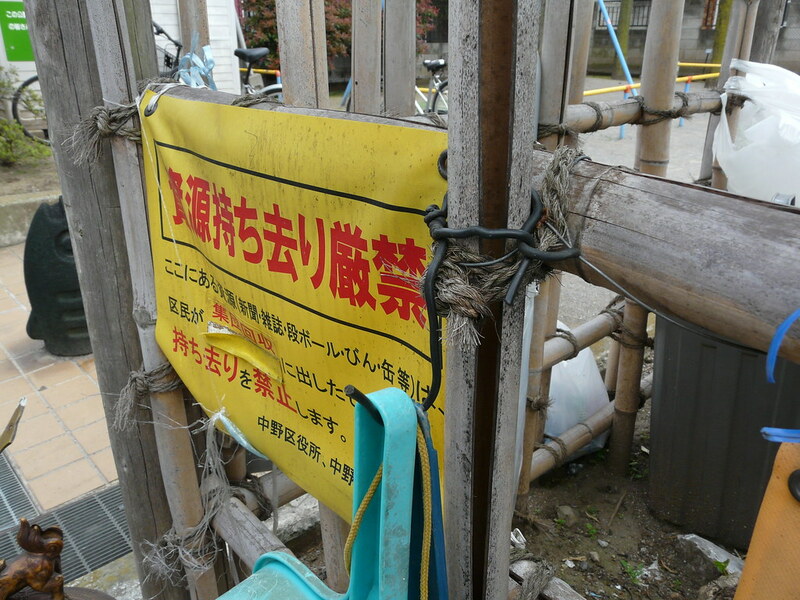 Constructed from rope and wire. 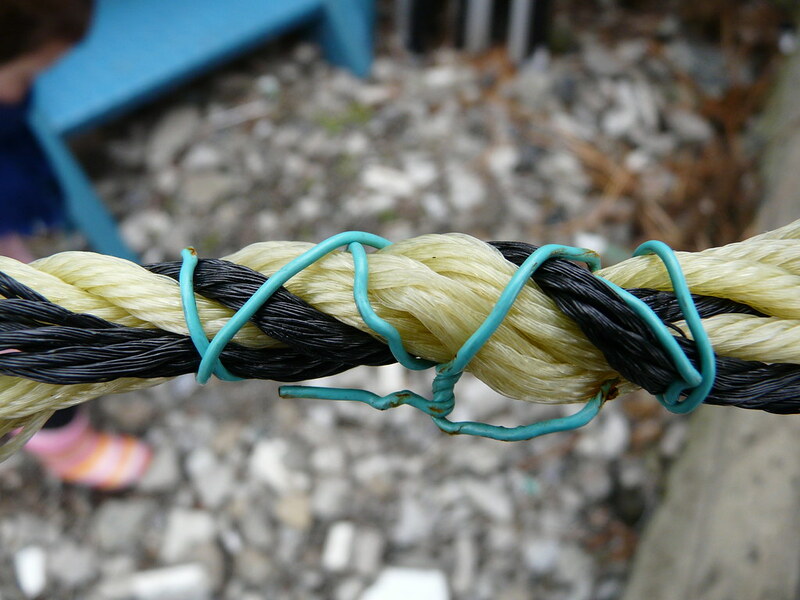 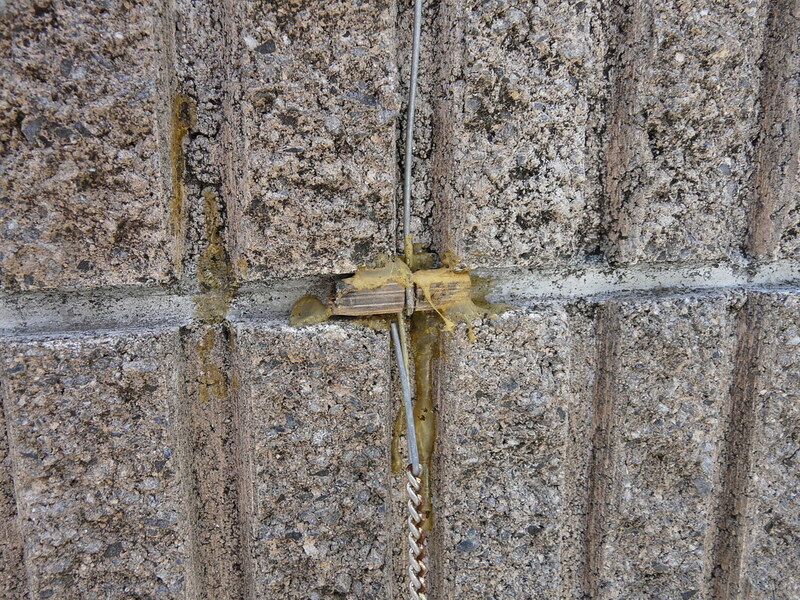 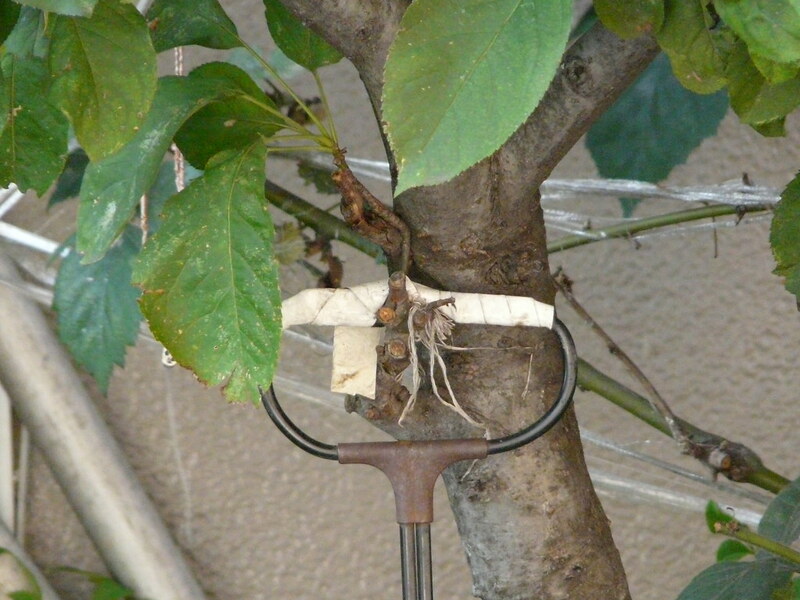 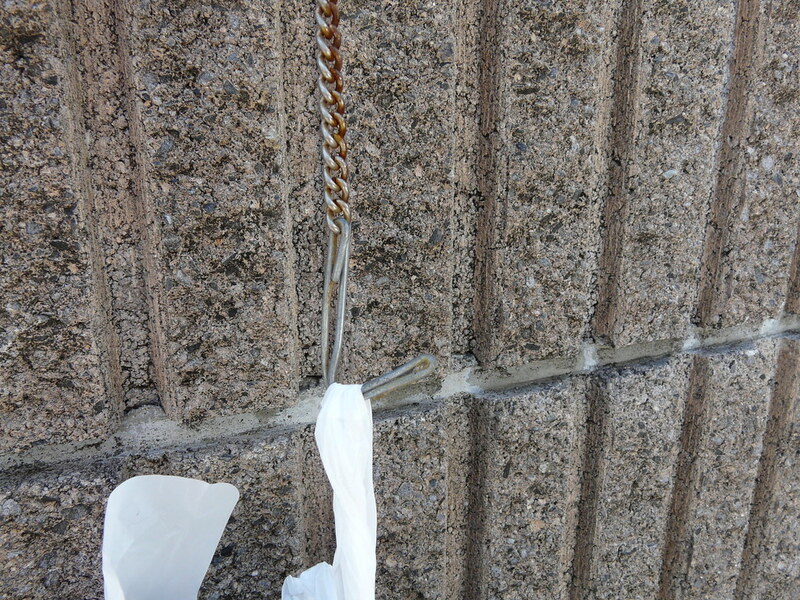 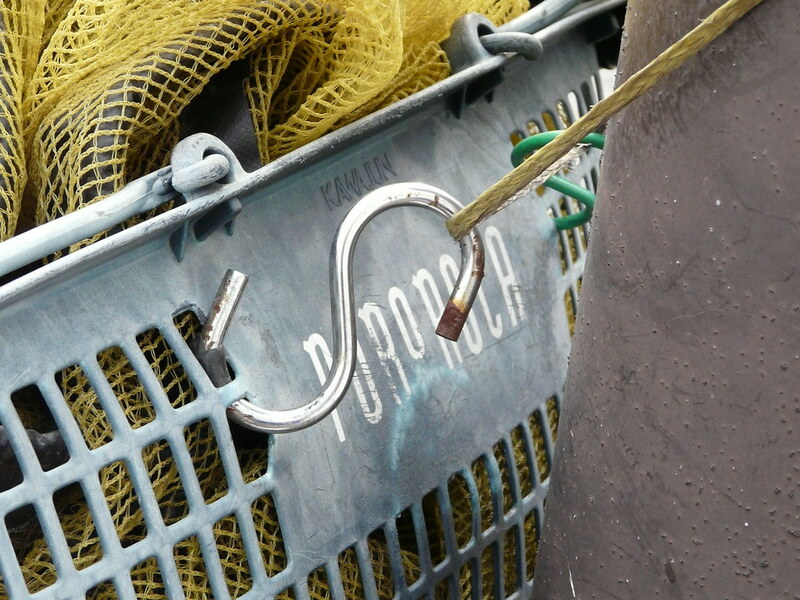 Wire is used in two ways: (1) To fashion a hook at one end to facilitate opening/closing of the barrier (2) To bind excess rope to the main barrier.